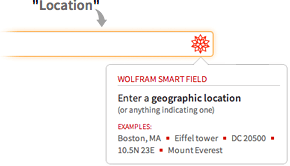 The Wolfram Language has powerful built-in functions to deploy applications to the cloud. Typically, cloud deployment in Java relies on third-party IDE plugins such as the AWS Toolkit. 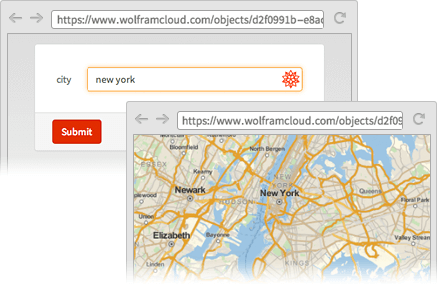 The Wolfram Language has powerful built-in functions to instantly deploy applications to web and mobile. 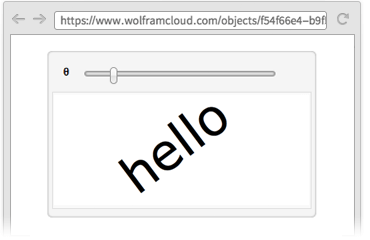 With seamless cloud integration, you can create dynamic web interfaces and APIs and host them immediately in the Wolfram Cloud with just a few lines of code, without needing to use any third-party frameworks like Flask or Django. 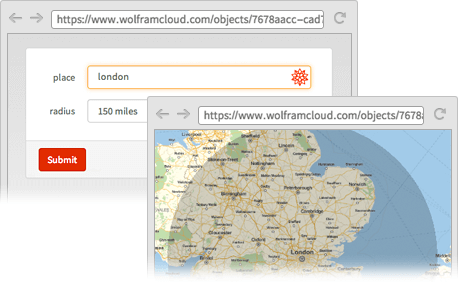 CloudDeploy deploys objects into the Wolfram Cloud. Deploy anything from a notebook—dynamic or not—preserving its styling. Use EmbedCode to set up embedding for iframes etc. Use CloudDeploy[Delayed[...]] to deploy an expression that will be recomputed every time it is requested. Smart Fields enable sophisticated parsing and validation of input using the semantic processing capabilities of the Wolfram Language. In Java, high-level input parsing, validation and processing requires custom code or additional libraries. Built-in smart fields exploit interpreters, enabling sophisticated parsing and validation of input using the semantic processing capabilities of the Wolfram Language. In Python, high-level input parsing, validation and processing require additional tools. Use Permissions-> "Public" to make a cloud deployment available publicly to anyone.